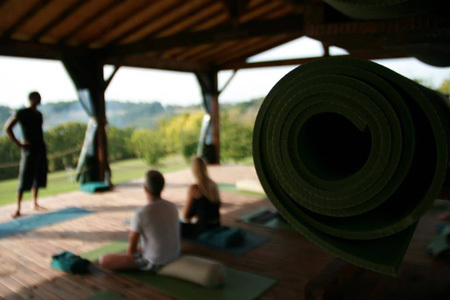 Bristol Yoga Centre has teamed up with Chene Yoga to bring you this fantastic 7 day yoga retreat in a lovely rolling countryside of South West France. 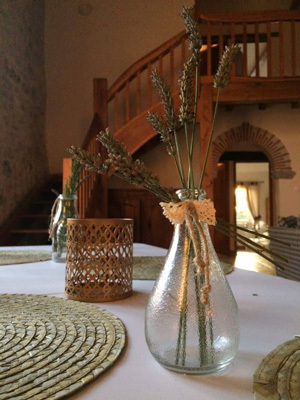 The yoga retreat is in beautifully restored, ancient stone properties, nestling on the edge of a tranquil, friendly hamlet. 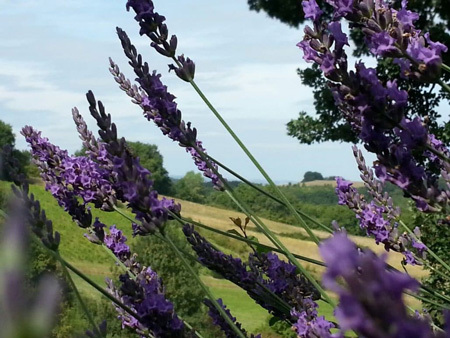 With plenty of character, private gardens and stunning views of the surrounding nature, the accommodation provides a perfect setting for a restorative and relaxing stay. Within the extensive grounds, you will find terraces for al fresco dining, lots of hammocks, fruit tree orchards, herb & vegetable gardens, boules court, spacious swimming pool and most importantly the yoga shala (lovely outside yoga space with beautiful views). Unlike many other retreats, the group will be kept to a small size so that you can receive more personal attention and learn yoga in an intimate setting. Use of all retreat facilities including swimming pool, bicycles, badminton and boules court. Soaps, shower gels, shampoo etc. All the meals are vegetarian. They are lovingly prepared using fresh and locally sourced organic ingredients from the hamlet whenever possible. We provide you with a long brunch and dinner with dessert. Vegetarian, vegan, gluten free and other specific dietary requirements available. Please let me know in advance your dietary requirement. Walking – there are numerous tracks that lead you through woods, vineyards or to lakes in the valley and surrounding hills. Reading – there are lots of books available in the retreat centre. Gardening – If you have the urge, feel free to ask! The venue has a beautiful outside yoga space with a lovely rolling countryside view that can be made weather proof in the rare event of bad weather. There is also an indoor space that can be converted into a yoga room if necessary. Naomi teaches Hatha yoga and the classes are suitable for beginners as well as more seasoned practitioners - modifications and alternative poses will be given. There will be two daily yoga classes per day except for arrival and departure day. The morning class will be more energetic and the evening class will be more restorative and relaxing. We will also practice meditation and pranayama (breathing techniques) as well as some basic Vedic chanting and relaxation techniques such as Yoga Nidra. "The yoga was so good for me, Naomi, I had expected to be at a loss, after not doing it for so long, but your excellent way of teaching reminded me what an important and restorative thing it is to do, and convinced me to continue" - Lorna from 2017 retreat. These times are for reference only and may change slightly and there are no classes on arrival and departure day. Prices varies depending on the room type but it starts from £536 pp (20% off discount now available - Use 'NAOMI20' at check out). There are single occupancy available. Rooms will be assigned on a first come first served basis. Please contact Chêne Yoga for more details. There are 3 different properties available. Please click here to see the price list. Please note transfer & airplane tickets are NOT included in the price. Feel free to contact Naomi for more information. For booking please go through Chêne Yoga directly. Toulouse, Bordeaux (1.5 hours away by car) and Bergerac (1 hour away) is the nearest local airports to the retreat. Click here for more Travel information. If you require, airport transfer please contact us before booking the flights to ensure that we can arrange this for you. It is also possible to travel by car (9.5 hours away from Calais) and train. The nearest train stops are either Agen or Port-Sainte-Marie. From there you can catch a taxi which we can help to organise or get in touch with us to dicuss a pick-up service. For train times within France see www.voyages-sncf.com. See you in this beautiful yoga retreat in France!